This past week Zhong Guowei, the Deputy Secretary General of the China Rugby Football Association (CRFA) announced that the China Arena Football League is attracting high visibility on mainland China with its action packed style of play. His feelings were echoed by hundreds who turned out to watch player combines in Shanghai and Beijing this month as young Chinese players tried to catch the attention of CAFL coaches who will be drafting hopefuls to fill out the rosters of six teams on June 17th during the second annual player draft. The CRFA has just signed a five year extension to promote football and plans on cultivating talent for years to come. The CAFL is only in its second season but Zhong has seen the how popular it has become at the primary and secondary school children. 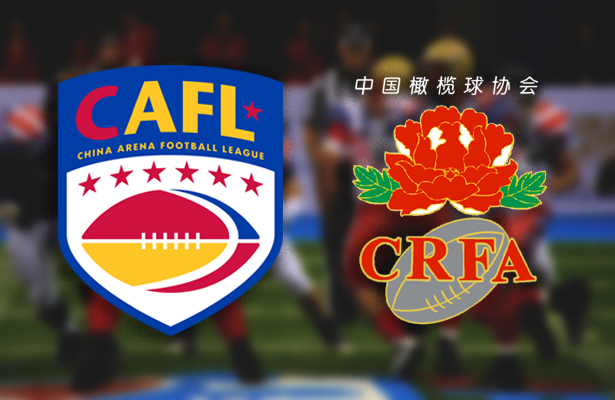 The CAFL established arena style football five years ago at the university level in China and the interest continues to grow thanks to the coverage it has received from media outlets including China Daily and iQIYI. Zhong and the CRFA will continue to take steps to develop the game at all levels as they see the potential as the game continues to grow on the fans. “I believe arena football will become as popular as the NBA among the Chinese sports fans in the future,” Zhong said. Players who make CAFL rosters will become household names and their style of play will entertain fans as much as the game itself. Marty Judge, the Founder and Chairman of the CAFL points out the importance of the public pronouncement of the growing popularity of U.S. style football in China. “Since we first arrived in China, the CRFA has helped us to get to this exciting juncture. To have Deputy Secretary General Zhong confirm the growth of our sport to already rank on par with rugby, and with the expectation to match basketball is an amazing validation for us!” Judge said.